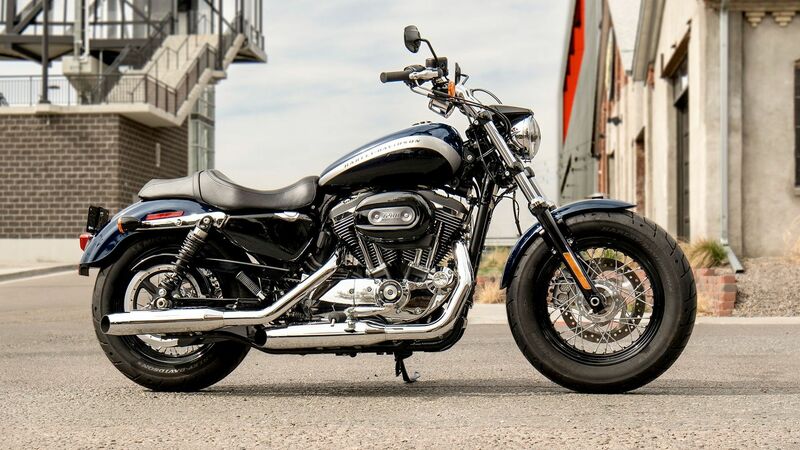 The 1200 Custom has been a fixture in the Sportster® line for decades. It’s a statement of individuality on wheels. The 1200cc Evolution® engine features black rocker box covers, black and chrome oval air cleaner cover, and a black and chrome timer cover. It’s all set off by chrome shorty dual exhaust, and bold fast graphics with a racing stripe on the tank. And that’s just the start. Because where it goes from there is up to you.